Three Rebels Coaches earn COY Honors. After another excellent season in the Manitoba Colleges Athletic Conference, the following coaches have been recognized as the 2016 MCAC Coach of the Year in their respective sports. became eligible, but the challenge of balancing a new lineup and changing gears late in the season was something Pangilinan worked to perfection. The Rebels won their last 4 games of the regular season to finish with an 8-4 record, good for a 2nd place ranking moving into the Championship weekend. After staving off elimination from a very tough PUC Pilots team in the Championship semi-final, the Rebels then topped the #1-ranked CMU Blazers who had only lost a single game all season. This was Pangilinan and the Rebels’ 5th straight MCAC title from a squad that led the league in total rebounds as well as second effort points, and turned the ball over less than any other team in the MCAC. Kirkpatrick – and a healthy and complete roster in place for the first time all season – didn’t waver. After the 2016 season’s leading scorer, Garnett Mcleod, was unable to play in the post season, the Rebels found themselves in a dog fight semi-final matchup with the #1-ranked U of W Wesmen. The Rebels won 65-61 and then decisively bested Canadian Mennonite University in an 87-74 win in the final. From worst to first in the span of about a month, Kirkpatrick was able to put together a squad that was best in the league when it mattered most and win the program’s 8th straight title. 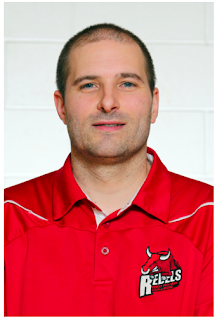 As far as records are concerned, Lawrie was at the helm of the best team, in any sport, in the MCAC this season. In his 5th season as head coach of the Rebel’s women’s program, Red River recorded a perfect 8-0 regular season before cruising through their championship semi-final game to face Brandon University. With their perfect season on the line, the Rebels found themselves trailing late in the game before conjuring up two unanswered goals and hoisting the trophy this season. 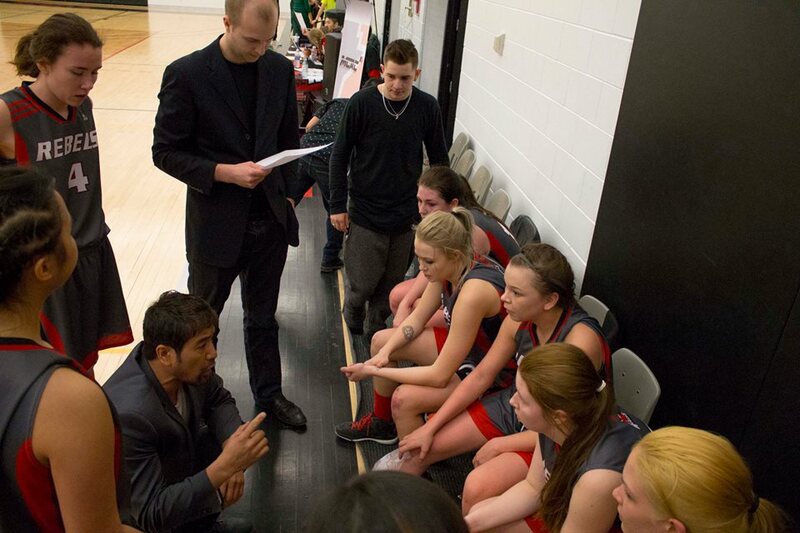 Lawrie also coached the women’s futsal team at Red River this season, who handed a heavily favoured, #1-ranked CMU Blazers futsal team a loss in the final on their home court. This too ended in similarly dramatic fashion, giving Lawrie every excuse to take a seat and relax this offseason. 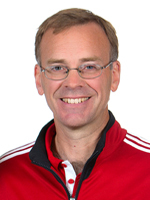 Lawrie is also currently president and head coach of the Hornets Soccer Club in the Winnipeg Women’s Soccer League. Red River College > Rebels United > News > Men's Basketball > Three Rebels Coaches earn COY Honors.